Creamy Kahlua cheesecake with a healthy dose of hazelnut and just the right amount of oba oba. This dessert flavor could easily become your all-day vape. Made in a 20/80 PG/VG mix that produces clouds of vapor. 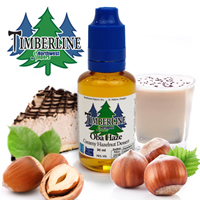 Available in 30 ml Glass or 30 ml Plastic bottles, in 0, 3, and 6 mg/ml nicotine.